Acts of worship in the religion of Islam are often categorised according to how important they are in its performance with particular emphasis on those acts which should be performed and those acts which should be restrained from. 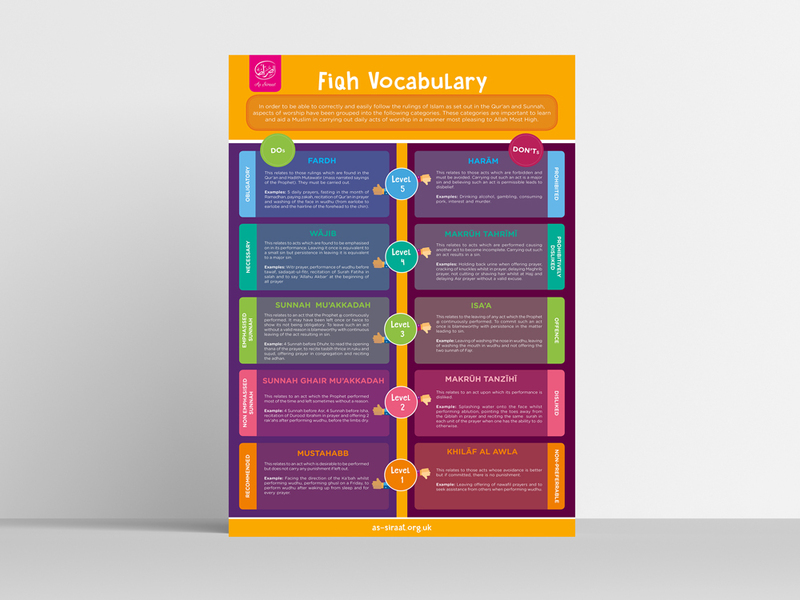 This A2 poster introduces the vocabulary that is used alongside acts of worship to denote its importance and relevance in the religion of Islam. Each word has been defined in accordance to the Shariah with special care taken to provide examples so as to ease understanding and help readers contextualise the information at hand.